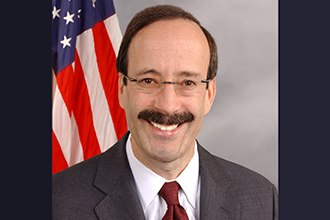 Editor's note: Representative Eliot L. Engel represents the 16th Congressional District, which comprises the northern Bronx and the southern half of Westchester County, including Bronxville. Jun. 20, 2018: On June 12, the House of Representatives passed two bills co-authored by Congressman Eliot L. Engel that will help fight the opioid crisis: H.R. 5272, the Reinforcing Evidence-Based Standards Under Law in Treating Substance Abuse (RESULTS) Act, and H.R. 5329, the Poison Center Network Enhancement Act. The RESULTS Act, a bill written by Congressman Engel and Congressman Steve Stivers, directs the National Mental Health and Substance Use Policy Laboratory to issue new guidance to applicants seeking federal funding to treat or prevent mental health or substance use disorders. This guidance will ensure that those applying for federal funds have the information they need to implement evidence-based solutions to the opioid crisis, as well as the tools necessary to emulate successful approaches in their communities. The Poison Center Network Enhancement Act, legislation written by Congressman Engel and Congresswoman Susan Brooks, will reauthorize the U.S. poison center program for an additional five years. Since 2011, poison centers have handled nearly 200 cases daily involving opioid misuse. Poison centers have also helped detect trends in the opioid epidemic, and experts have educated Americans about ways they could potentially save the lives of their loved ones. "In Westchester County, 124 people died due to opioids in 2016, and in the Bronx, more New Yorkers died of overdoses than in any other borough," Engel said. "Our communities need solutions, and I am pleased the House has passed these commonsense measures as part of that effort. "However, more work is needed. Last week, the Trump Administration announced that they will urge the courts to strike down the Affordable Care Act's provisions preventing insurance companies from denying coverage or charging more for pre-existing conditions, like an opioid addiction. We cannot hope to turn the tide of this epidemic if GOP attacks on affordable health care continue. 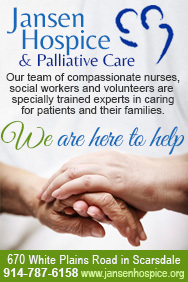 I implore my Republican colleagues: let's work to ensure our communities have the resources they need, and bring necessary treatment to the men and women who are fighting for their lives." Both Engel bills will now advance to the Senate for consideration. Pictured here: Congressman Eliot L. Engel. 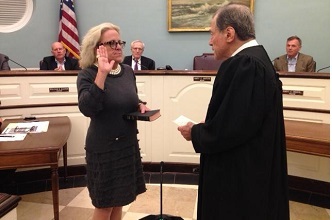 Editor's note: As a public service, MyhometownBronxville publishes press releases, statements, and articles from local institutions, officeholders, candidates, and individuals. MyhometownBronxville does not fact-check statements therein, and any opinions expressed therein do not necessarily reflect the thinking of its staff.